On my very first day teaching at USC, several of my students were late for class. Some couldn’t find the classroom, hidden between the second and third floors of the Hancock Foundation Building. But more than a few were distracted by Reese Witherspoon and the film crew working outside on Legally Blonde 2. 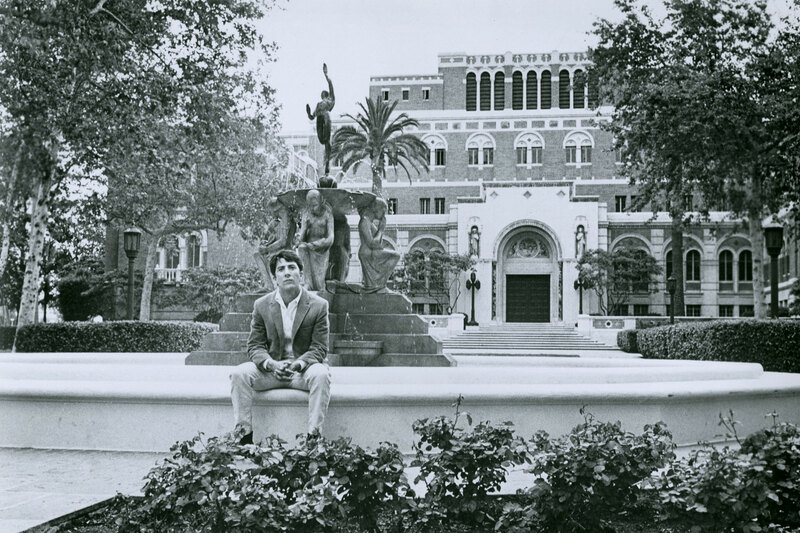 That was my first firsthand exposure to USC’s double life: It’s a top research university, but it moonlights as a Hollywood star. 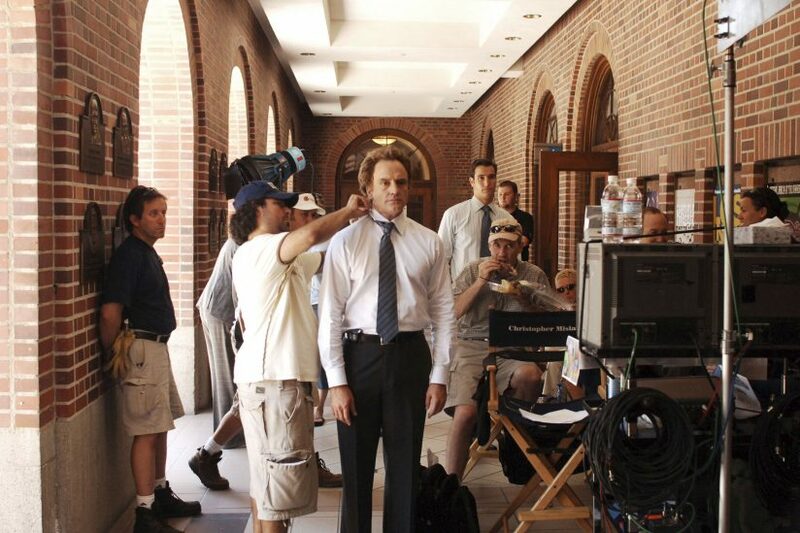 On any given day, you might see crews working on commercials, music videos, television shows or movies filmed at USC. “USC is the university to go to when shooting in Los Angeles,” said Jason Kaplon, location manager on How to Get Away with Murder. 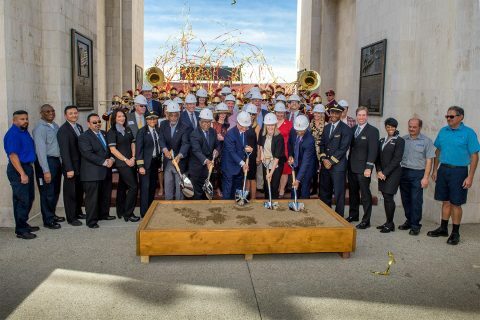 You may have noticed that Murder’s Middleton University looks an awful lot like USC — the Physical Education Building, Wallis Annenberg Hall, Bovard Administration Building. Whenever you see Middleton University maps and signboards on Childs Way, you can be sure Shonda Rhimes’ cameras are not far away. “How to Get Away with Murder, Scandal and For the People all film at USC on a regular basis. 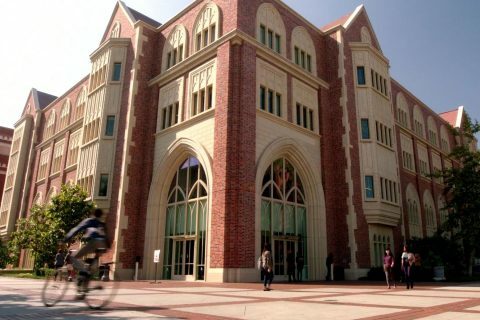 The reason: The campus is beautiful, looks like the East Coast and has many different looks,” said Veronique Vowell, an ABC location manager who works with Shondaland Productions. 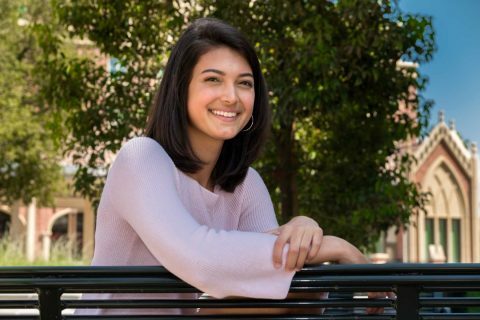 She noted that the University Park Campus has played everything from a government building and a courthouse to a national convention site — and, of course, a college campus. We’ve even played the University of California, Berkeley on at least one occasion, in The Graduate. But USC has an on-screen history that goes way back, to Hollywood’s early days. 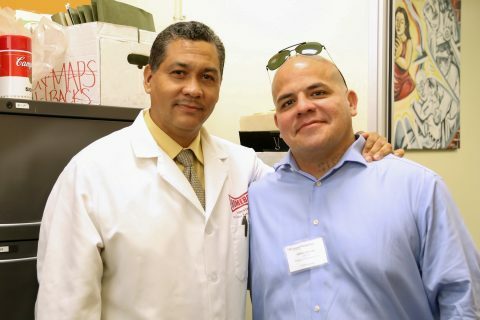 “USC has such a distinguished history of being featured in so many films, television shows and commercials going back to the 1930s, when Laurel and Hardy made their way down what is now West 34th Street,” said Torie Daves, director of USC campus filming. 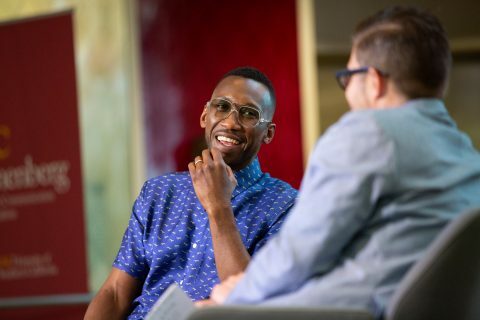 Keep that in mind next time you see a familiar looking background on the screen — and don’t be surprised if you happen to run into your favorite star on campus sometime. 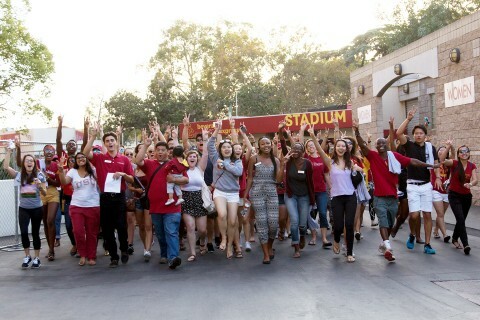 Newcomers quickly learn the ties that bind them to the rest of the Trojan Family. 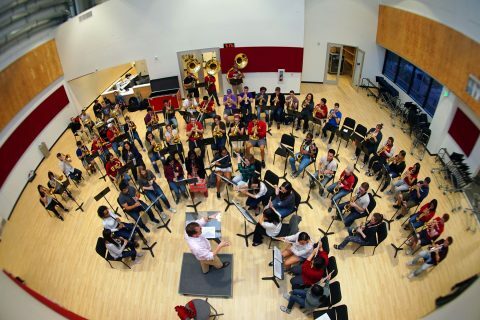 The Spirit of Troy’s gleaming new digs feature rehearsal space, a student lounge, separate locker rooms — and maybe even new traditions.